Bhí lá den scoth ag na Gaeil óga ó chlubanna óige fud fad Bhéal Feirste ar Lá Spraoi Fhóram na nÓg Bhéal Feirste ar an 21ú Meitheamh 2014. Chuir an lá seo tús breá bríomhar leis an tsamhradh i mBéal Feirste do na daoine óga seo, agus bhí an t-ádh ar dhaoine gur lá galánta griannmhar a bhí ann. Bhí beirt chuairteoir iontach speisialta ar an lá fosta a bhí ag iarraidh páirt a ghlacadh sna himeachtaí uilig – Batman agus an Joker! Eagraíodh an lá seo ag Fóram na nÓg Bhéal Feirste agus is iontach an obair a bhí déanta ag na hoibrí óige, na hoibrí deonacha agus achan duine a bhí páirteach ar an lá leis an lá sultmhar seo a reachtáil do Ghaeil óga Bhéal Feirste – maith sibh! Is féidir níos mó griangrafanna ón lá a fhieceáil sa ghailearaí tríd an nasc seo. 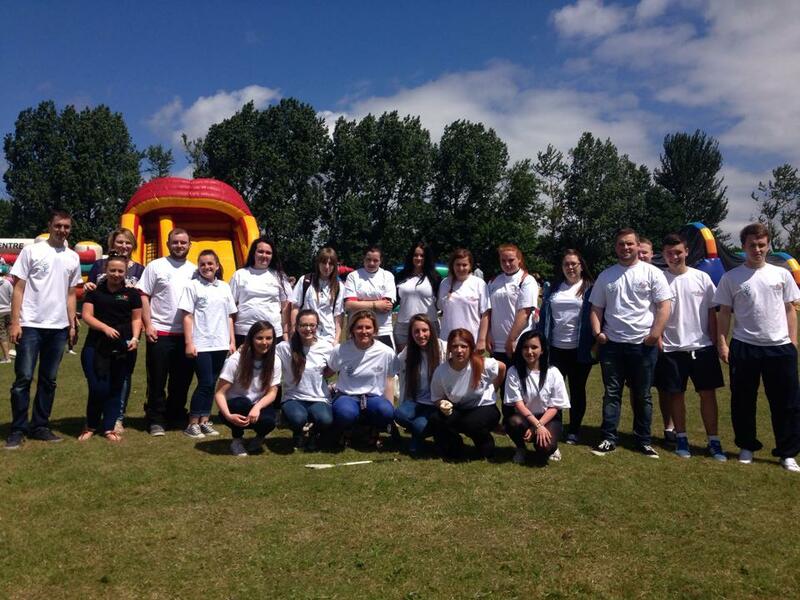 The young Gaels of Belfast from the Irish-medium youth clubs all over Belfast had a great day at the Lá Spraoi held by Fóram na nÓg Bhéal Feirste on 21 June 2014. 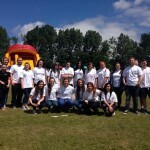 The young people in attendance enjoyed a lively start to their summer, and everyone had a chance to enjoy the great weather as the sun shone down. There were also two very special guests eager to take part in all the activities too – Batman and the Joker! 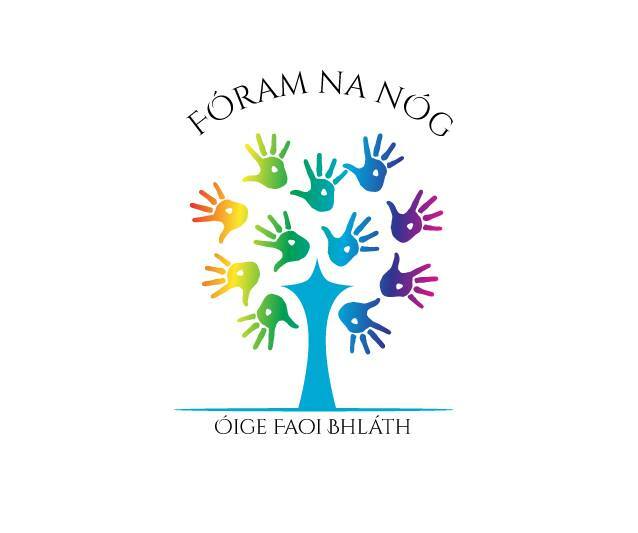 The Fun Day was organised by Fóram na nÓg Bhéal Feirste and involved a great amount of work from all the staff and volunteers alike. Well done to all who were involved in organising the day, it was a great event for the young Gaels of Belfast – maith sibh! You can see more photographs from the day in the gallery by clicking on this link.